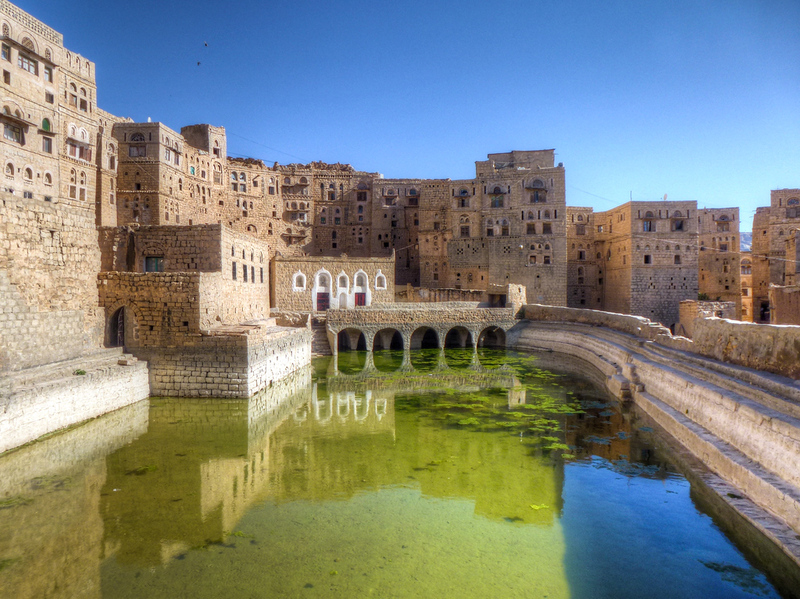 The Old Walled City of Shibam in western Yemen was a place that made me feel what a shame Yemen’s terrible security reputation was reputation back in 2013, keeping most travelers from visiting. Back then there were parts of Yemen that were safe to visit (mostly) including Shibam, one of Yemen’s three UNESCO World Heritage Sites. But as unknown to most as the 2800 meter high Shibam was, so has been the destruction of its most popular attraction, the Kawkaban Fortress. Hardly any coverage in Western media was made of the airstrike that demolished the 12 centuries-old Kawkaban in February 2016. The only news in English I could find was this Facebook post by Eternal Yemen, the company that arranged my trip there. I left Yemen with a sense that the best of a bad situation was likely to end soon and four months later a civil and larger proxy war began – making the country inaccessible. In addition to the 6,500 lives lost since then, historic sites like Kawkaban have been lost to humanity forever. So now once the site of one of humanity’s achievements, is ruble, marking the failing of our species; a lesson still not learned since the first stone of Kawkaban was laid 1,200 years ago. This is another village in yemen called Hababah, and Kawkaban is a nearby village there. Hababah is luckily safe while some parts of Kawkaban were destroyed..!!!? It’s like the saying “The only thing that gets destroyed in the fight between the animals is grass”. Another piece of world treasure that might soon be limited to memory.